Do Wood Floors Fade Over TIme? 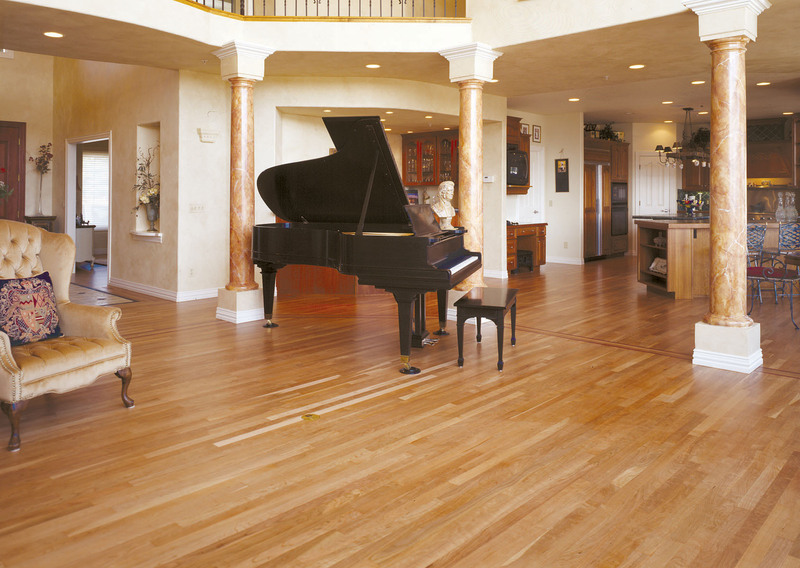 Wood floors are one of the few flooring options that become more beautiful with age. Like all natural materials that experience change over time, wood floors undergo subtle color changes as they age. This is a natural process called “patina” that will add to the beauty and character of the floor. Different species of wood flooring will experience color changes at different rates. In general, more common species, such as oak and hickory, will experience minimal color change over time. Less common species, such as American and Brazilian cherry, will show more variation over time. These changes are natural but can be minimized with a little prevention. Two factors influence color changes in wood floors: sun exposure and the finish that is applied. Over time, prolonged sun exposure will cause wood floors to change color. Think about how skin reacts when exposed to sunlight. Wood reacts in much the same way, but you can minimize this effect by periodically moving rugs and furniture to limit that exposure. In term of finish, oil-modified options will amber over time, giving the floor a slightly yellow appearance. 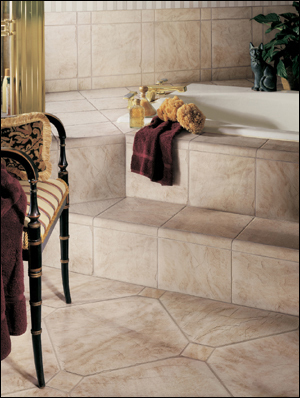 In contrast, water-based finishes generally will remain clear, minimizing long-term color changes. Rainy Asian jungles, wild monkeys and exotic birds. That’s probably what comes to mind when you think of bamboo, right? The fact is that bamboo is a rapidly growing hollow grass (not wood) that can be harvested every 5-7 years, unlike tree wood, which can typically be harvested only every 15-100 years. When bamboo shoots are cut, their roots remain intact and new sprouts grow in their place. 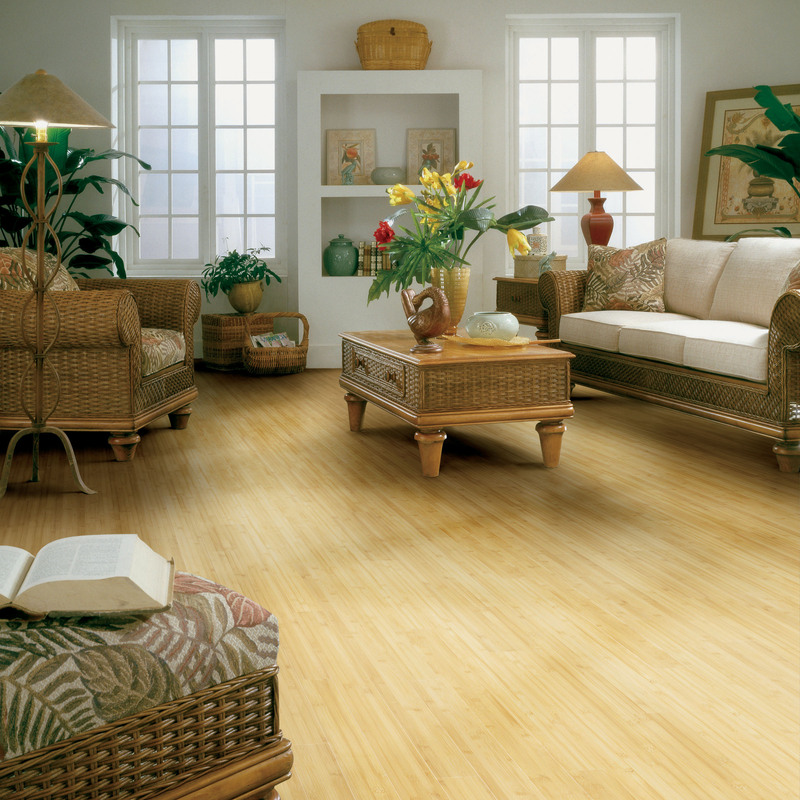 As a result, bamboo flooring is an environmentally friendly product that provides an excellent alternative to tree wood. It will provide the same natural beauty and feel in your home as hardwood. Don’t worry, bamboo flooring is panda friendly too. Since the bamboo used for flooring (commonly called “moso” in Chinese) has no leaf growth on the first 16 feet of the stem, it isn’t a source of food for the panda. The particular species of bamboo used for flooring is grown in select groves of Southern China. It’s 27 percent harder than Northern Red Oak, 13 percent harder than hard maple and can be nailed-down or floated. Not only is bamboo durable, it’s frequently favored for its resistance to fire, insects and moisture. Bamboo comes in different patterns and plank sizes to complement a variety of decors, from casual to formal and contemporary to traditional. If you’re considering hardwood floors, consider bamboo. It’s a great environmental option and is offered in both solid and engineered construction. Apply to the floor, let stand for three to five minutes, lightly scrub with a sponge, rinse well and you’re home free – dirt free too. For heavier cleaning tasks there are cleaning products available that can be used to remove soap scum, hard water deposits, and mildew stains. A firm and resilient carpet cushion is necessary to form a good foundation for your carpet, increasing its comfort and extending its life by acting as a shock absorber when someone walks on the carpet. The cushion, or pad, helps buffer sound and provides increased insulation, making a room quieter and warmer. When selecting cushion, check the carpet manufacturer’s requirements for thickness and density. Improper selection of carpet cushion can negatively affect carpet appearance, cause wrinkling and buckling, cause separation of the carpet seams and can cause a breakdown of the carpet structure itself. Improper cushion selection also may void any applicable carpet manufacturer’s warranties. 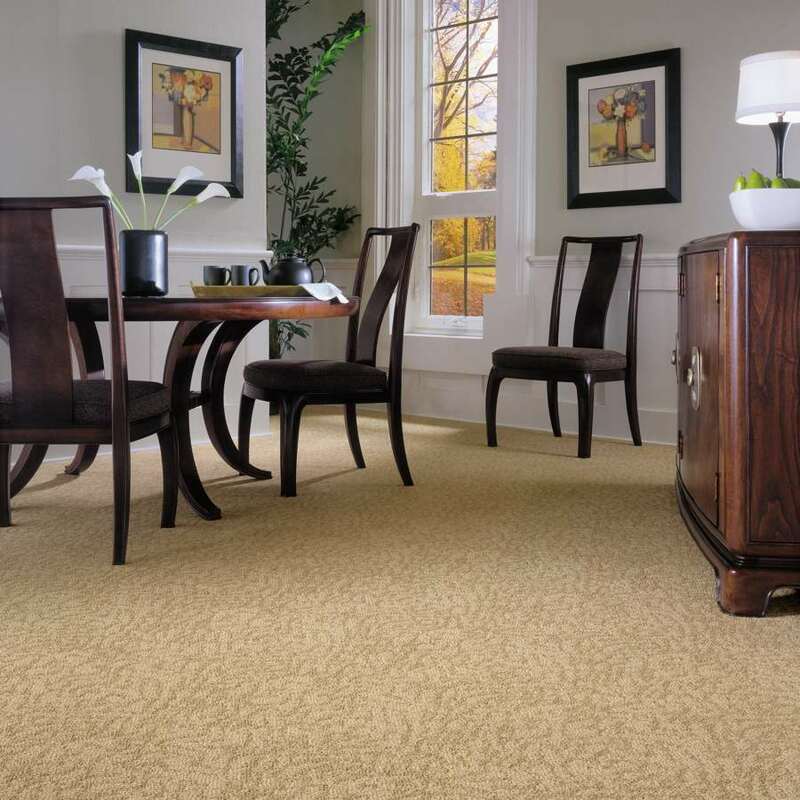 A general rule of thumb for most residential carpet applications is to choose cushion no more than 7/16 inch thick and no less than 1/4 inch with six pounds per cubic feet density. If the carpet is a Berber or a low profile carpet, choose a cushion no more than 3/8 inch thick with eight pounds density. Residential cut pile, cut- loop or high-level loop carpet requires a resilient, firm cushion with a thickness of 7/16 inch and no less than 1/4 inch with six pounds per cubic feet density. Types of cushion may be various polyurethane foams, including the very common bonded foam product often referred to as “rebond,” fiber or rubber.